The difference between great and good is very little. It’s the last inch, or two, that separates great from good. It could be the smallest detail that gets overlooked by most people, but to the person who wants to achieve greatness, it is never overlooked. In selling, it’s the little nuances of what we say and how we say it. It’s the properly selected words we use to convince the client to move forward. Too often, we wing it without spending the time to properly craft the questions. When the questions are delivered well, they will elicit the response we desire. In selling, we need to be a wordsmith. Just as a master silversmith works with silver to craft an elegant tea service, we must work with our words to craft a compelling reason to do business with us. A master silversmith spends time refining the silver over fire. The heat of the fire removes the impurities from the silver. The mold is then built for the silver to be poured into. Once cooled, the silver piece is polished to brilliance. Your words must go through the same steps to achieve perfection. As a good salesperson, you must think, write, and rewrite your words; especially the key words contained in your prospecting scripts, listing presentation, and objection handling scripts. You then need to mold these words into a comprehensive and cohesive presentation. The presentation needs to address the benefits of doing business with you, versus anyone else. It must focus on the client and clearly answer the question: Why should I hire you? Just as the silversmith will fail if the mold is inferior, so will the salesperson. Check your mold. Next, you must polish the presentation. You need to spend hours perfecting the delivery. The silversmith polishes the silver until it shines with brilliance. He will spend hours upon hours making it perfect. Then, when it is perfect, he stamps his logo, or signature, on the piece. When was the last time you practiced your scripts? When was the last time you taped your listing presentation? You stamp your signature on every presentation. How good is your signature? One of the key areas between good and great in the presentation is the silence. It’s the silence after a direct question. Too many sales people fear the dead space in a conversation and think they have to fill it up. That need to fill the void will keep you from greatness in sales. The void of silence causes our client or prospect to think. At this moment the sale is made. Arthur Rubenstein, the world famous pianist, was once asked, “How do you handle the notes on the page as well as you do?” He responded, “I handle the notes no better than many others, but the pauses…ah! That is where the art resides.” Your sale process needs to be like a great piece of music. It causes a reaction and emotion from your client or prospect. The real artistry is in the pauses. It’s in the void of quiet after the question. Don’t run through the pauses with another question or statement. Let the power of the pause take over. Rubenstein would let the note resonate throughout the hall. Let your question resonate in the conference room, living room…wherever you are making your presentation. If you step into the pause you invalidate, or soften, the last question. You are at the moment of truth. You will find out valuable information about your client or prospect at that moment. The power of silence is deafening. Make sure to use it to your advantage. Becoming a great salesperson requires watching the little things. Spend time daily breaking down the words and your delivery. Invest your time into practice. Perfect your craft of sales. Lastly, work to create and leave the pause in the presentation. There is immense power in the pause. We are all faced with call reluctance at one time or another in our sales careers. We all know that we need to prospect and make calls daily to generate new business. However, knowing and doing can be two entirely different things. The fear of calling can be a career ender for many sales people. Let’s take a look at what most Agents do when call reluctance hits. Most Agents take the worst possible action…they avoid the calls. Are you avoiding the calls when call reluctance hits? The problem with that plan of action is that avoiding something out of fear only teaches you to fear it more. Most people who are chronic call reluctance sufferers are their own worst enemies. They are experts in all of their own faults and shortcomings. They see only their weaknesses, not their strengths. To be successful at prospecting over the phone, we have to have a clear sense of what we can provide to the prospect. Until we have a clear understanding of our value, we will never achieve comfort in prospecting over the phone. The overcoming step is to evaluate what you have to offer the prospect. Take inventory of your skills and abilities. Understand your track record of results. Review your list of satisfied clients and the reasons why they’re satisfied. List the things you can do for the prospects. List the qualities that make you the person they should work with. List the specific benefits of your services. Always have these lists ready by the phone. This way you can easily review them before you begin to call. You will also be able to use them during your call to convince the prospect to work with you. Many of us are challenged because we see making a call to a prospect or even a cold opportunity as an unwanted interruption. By using this list, you can change your mindset to see that you are giving the prospect a valuable opportunity to be served by you. We need a new perspective of opportunity. We can easily get ahead of ourselves. By setting a daily goal that is realistic, we can create momentum. People who are challenged with call reluctance often believe that they need to make 20, 50, or even 100 calls a day to make a difference. Since they can’t do that, they avoid even starting. Start with a small number you can commit to daily. We have seen Agents double their businesses in a year by making 5-10 contacts a day. A little goes a long way. Prospecting is like Brill Cream: a little dab will do you. It just has to be used every day. Set manageable goals for each week, and then break them down into goals for each day. If you are struggling to hit the daily goal, break it down to each part of the day or even each hour if necessary. Make it into a game. How many calls can I make before lunch or before my next appointment at 10:00 am? Make the target achievable. You want to achieve the feeling of accomplishment. When you achieve the goal, reward yourself. We call it celebrating the victory. Part of being effective in calling is learning to reward yourself along the way. The mouse wouldn’t work as hard to get to the end of the maze if the cheese wasn’t there. The reality is that we are no different. You have to create small rewards along the way. We all have an internal voice. Sometimes, that voice is our biggest fan and encourager. Other times, it feels like that little voice is chaining us to a cement block and pushing us into a deep river. That internal voice can challenge us for good or bad; it can criticize and chastise us, as well. For those of you who are challenged by call reluctance regularly, this negative self-talk can be particularly aggressive. It can become almost hyperactive when you are preparing for a sales call. When you go to pick up the phone, the negative self-talk turns up the volume and intensity. Meet the challenge of the negative self-talk head on. If you do, the voice will get quieter, and after a few dials, it will go away completely. If you are really struggling, write down what the negative self-talk is saying. By having it down on paper, you can refute what is being said in your mind. The only way to repel the voice is to create the responses that defuse the arguments. It’s the difference between your thoughts controlling you, or you controlling your thoughts. You are in charge here. The difference between you and the mouse is that you can change. The mouse will go back forever and look for the cheese. You know better than that. Take the steps to go a different direction for a newer, better opportunity. We often begin each call by envisioning rejection. We begin each call with the thought process, “I hope they’re not home.” Mentally, we are poorly prepared. Even if they are present, we may not be. Do you visualize them hanging up the phone in disgust, or is there a voice telling you they are happy to hear from you? We often have a horrible movie playing in our head. Those negative images are making the calls more difficult to execute. The “negative visions” generate stress, and the mental stress blocks performance. We are preoccupied with the stress. We are waiting for the other shoe to drop, so we can be right. Henry Ford said, “If you think you can or think you can’t, either way you are right.” You will create the outcome you visualize. The “negative visions” are a rehearsal. The more you run the negative through mentally, the greater the probability of reproducing it in reality. 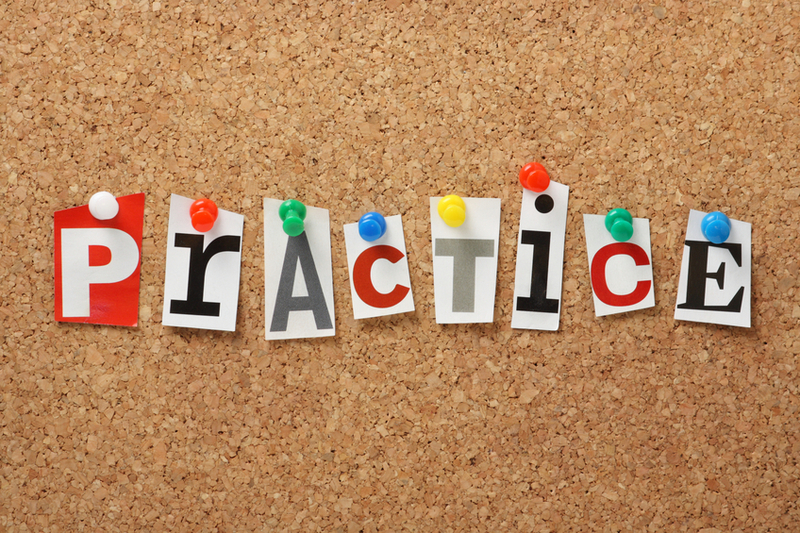 Remember, practice doesn’t make perfect…only perfect practice makes perfect. All practice does is make it permanent. The mouse practiced going for the cheese even when the cheese was taken away. We must visualize ourselves talking on the phone with confidence. We must have a “bring it on” attitude. We must visualize ourselves handling the objections efficiently and effectively, and we must visualize ourselves setting an appointment. It’s really easy when you are in call reluctance to envision hours of calling and toiling on the phone. You believe that you are going to have to bear hours of rejection to generate one measly lead. Then you figure you might as well give yourself the day off, and you can make it up tomorrow. Resolve, before you give up for the day, to make 10 minutes worth of calls. The truth is any of us can make the calls for just 10 minutes. When you have completed 10 minutes or a certain number of contacts, like two or three, you are free to quit guilt-free. You have “bought” your freedom for the day. You have taken a big step to breaking through call reluctance. Do the 10 minutes and know you are progressing out of call reluctance. The other thing you will discover is that the hardest part is behind you. You can tap into the momentum you have just created. I guarantee that the next dial will be easier and not feel or look so intimidating. You have started to control the negative self-talk. You can choose to continue on. This is the best commitment you could make and keep for yourself. 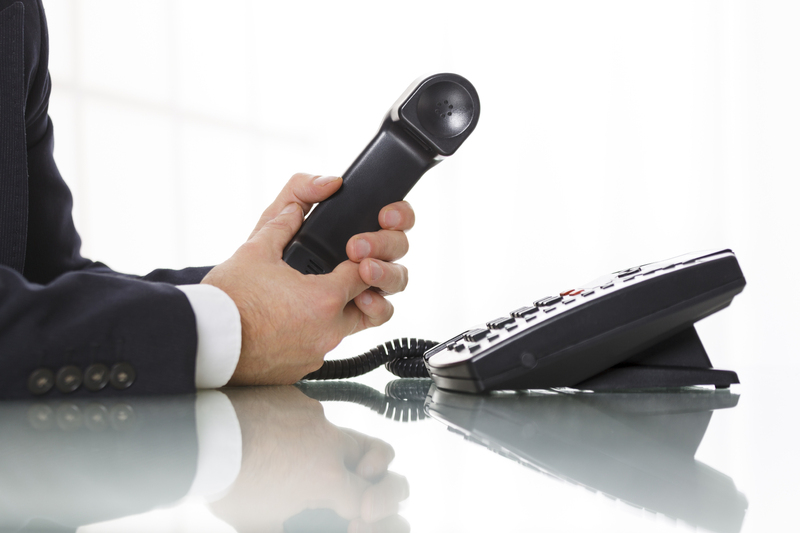 Call reluctance is real for every salesperson. There is no one who doesn’t suffer from some form of call reluctance. If some claim they don’t ever have it, just realize they must have deeper psychological problems to deal with. Apply the five steps today and work to overcome call reluctance.